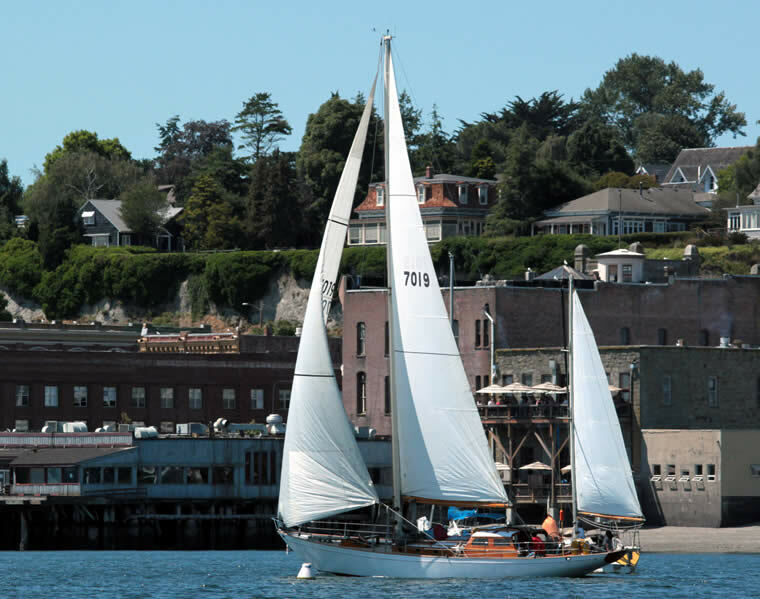 2014 Wooden Boat Series Race – July 26th. 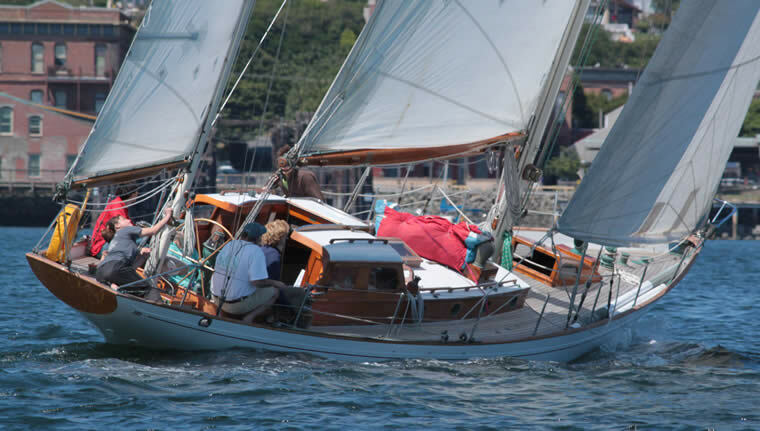 The PTSA Wooden Boat Series was started two years ago. 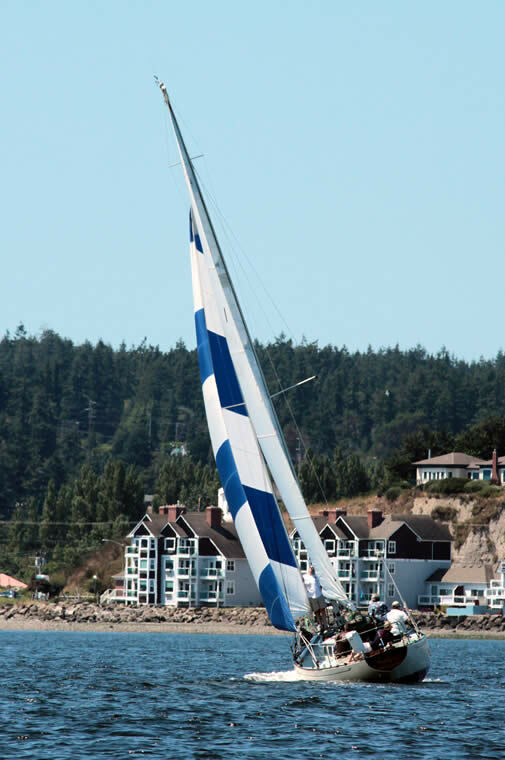 It was sponsored by Siren’s as an adjunct to the Classic Mariners Regatta. 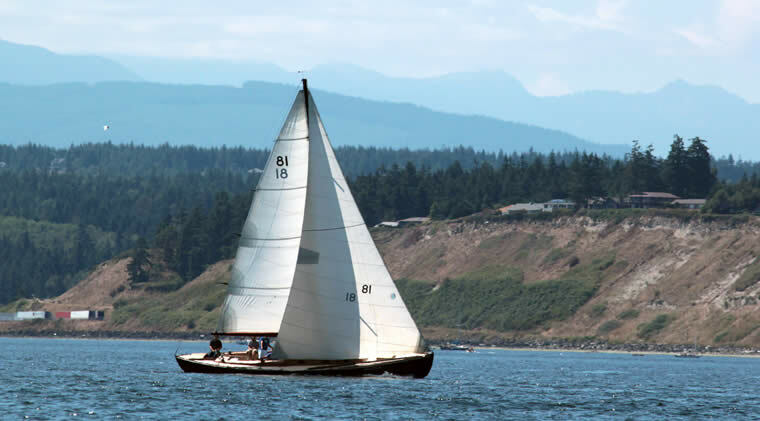 We are endowed with many beautiful and historic wooden sailboats in our area. 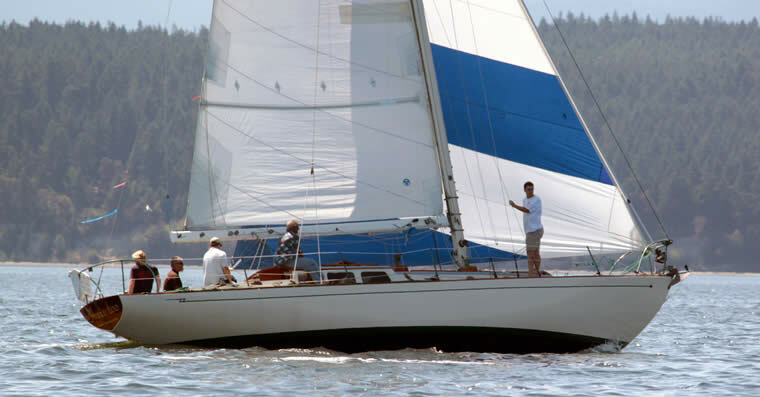 The intent of the series is to get more of them away from their docks and show them off to best advantage – sailing. The competition is just the excuse to get out and have fun. For those that missed this race there is another on August 18 th. 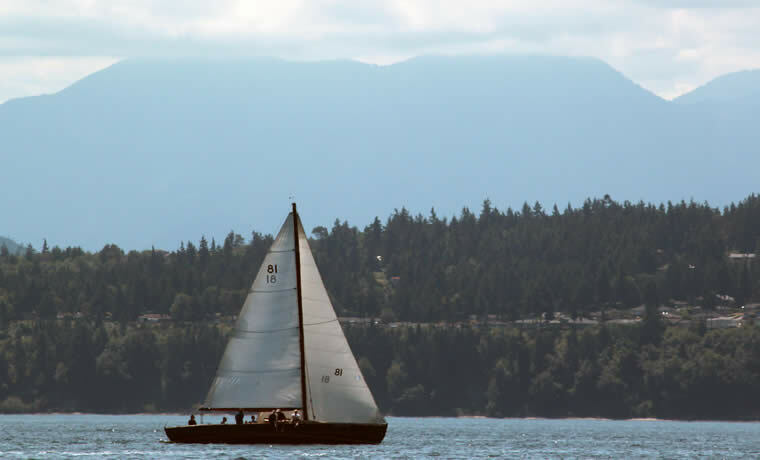 and the last of the year is during the Wooden Boat Festival, starting after the schooner race. For this race six boats came out. 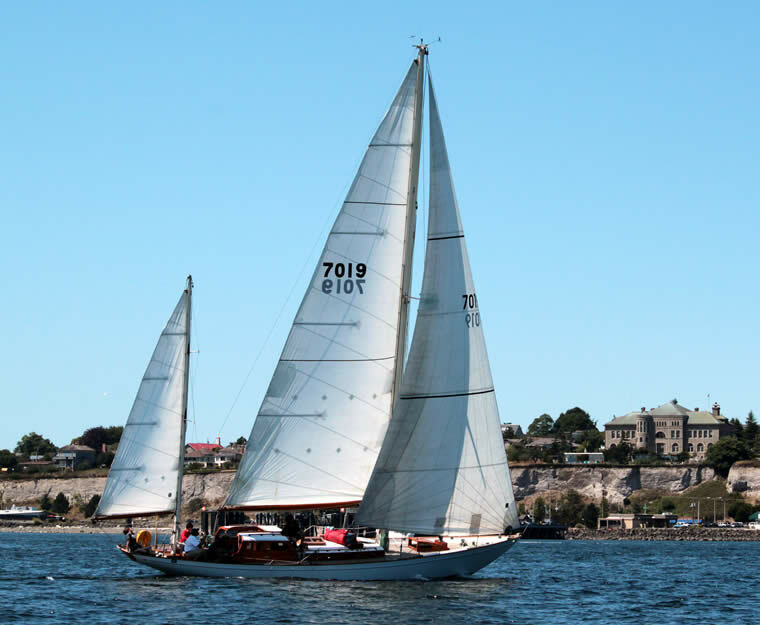 The usual suspects – Annie Too (1956 Lapworth 45), Pacifica (1947 S & S 48′ yawl) and Sparkle (1947, 40′). Old friend Vito Dumas (1933 Campos 40′ cutter). Cito, Sean Rankin’s newly restored Spidsgatter and D9, Scott Swantner’s Spidsgatter. Results and photo gallery after the break. It was a warm sunny afternoon but the wind, though adequate, was quite erratic in places. 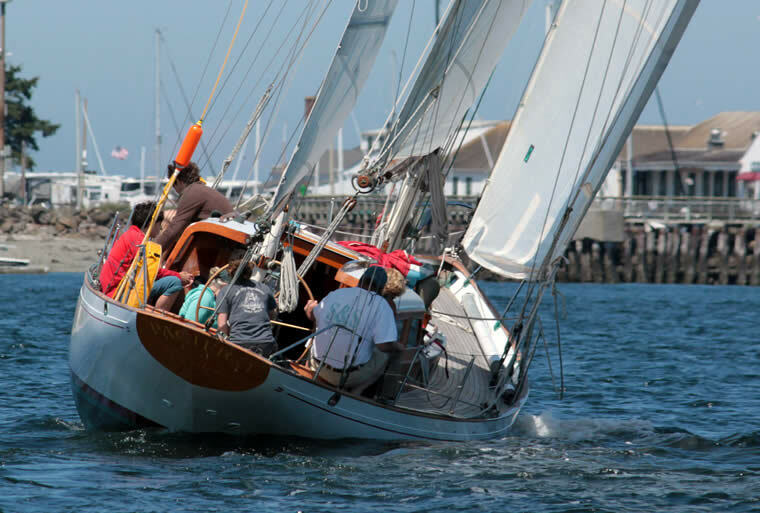 A long course was set to take advantage of the good conditions, starting at the City Dock, reaching to the buoy at the south end of the Boat Haven, running to the large Green Buoy near Rat Island then beating back to the finish at City Dock. Twice around for a distance of 8.9 nm. with the possibility of shortening course after one lap. During the first lap the wind at the dock was 6 – 8 kts gusting to 10+ and shifting between 270 & 310 degM. In the vicinity of the Green Buoy the fleet found light winds with no steady direction. Reportedly the lead changed several times in this area. For the second lap the wind at the dock had strengthened a little to 7 – 9 kts. gusting to 11+, but with occasional lulls to ~5 kts. The direction was unchanged. On this lap the irregular wind at the Green Buoy was less of a problem. Interestingly, the lap times for each finisher were very consistent in spite of the varying conditions. It became apparent early that the slower boats were not going to complete two laps in the three hour time limit, probably miss it by about forty minutes, so the removal of the limit was announced by loud hailer to each boat as they completed the first lap. However, Vito Dumas chose to retire, Cito sailed the second lap but did not cross the finish line and D9 had been misinformed about the proper course and subsequently retired.